Nia Franklin, Miss America 2019. The new Miss America is an opera singer who has a Masters in music composition and plans to be a huge advocate for the arts. 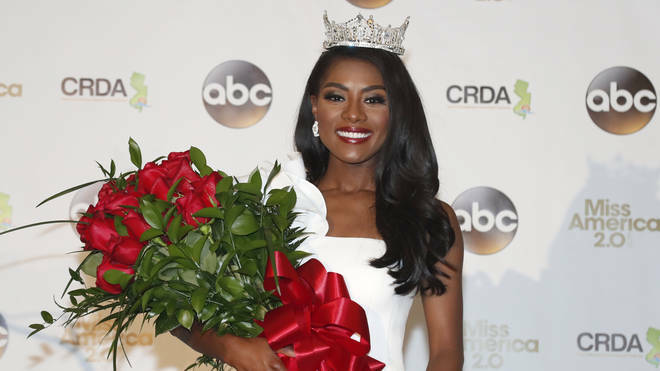 Nia Franklin, an opera singer and music composition graduate, was crowned the 92nd Miss America at Sunday’s event in Atlantic City, New Jersey. Franklin, representing New York, pipped runner-up Miss Connecticut – Bridget Oei – to the post. An opera singer, Franklin also earned a Master’s degree in music composition from UNC School of the Arts. She is from Winston-Salem, North Carolina, but moved to New York after being accepted onto the Kenan Fellow programme at Lincoln Center Education in Manhattan. In the Talent portion of the Finals, Franklin sang ‘Quando m’en vo’’ from Puccini’s La bohème. 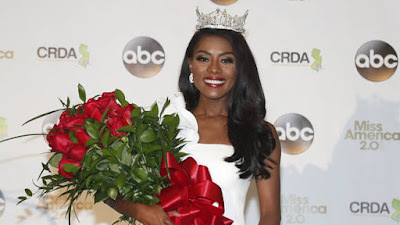 After being crowned Miss America, she sang a gospel song she wrote when she was five years old.